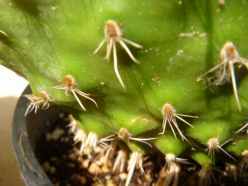 As the epitome of drought tolerant plants, cacti are really great at surviving what in most plants could be considered a death blow. 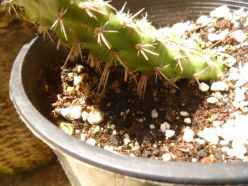 Ripping off a goodly chunk of the plant, cutting its armor off, plopping it in a box and sending it off in the mail might be a good way to kill most plants – not cold hardy cacti! These amazing plants spend their time wisely while traveling, and when they arrive at their destination (your garden) they’re ready to send down roots and grow. When you receive your cold hardy cacti order, inspect it carefully. The worst thing that can happen is that the pads have been too wet when packed, and may rot. If this is the case, not to worry, these plants have the ability to compartmentalize the damage, sealing it off and preventing it from spreading. Rot should always be excised to clean tissue and left to callous for a week or two. 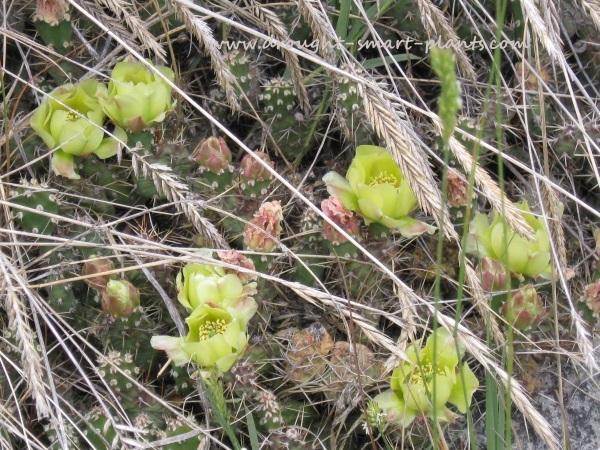 Opuntia compressa starting to bloom - look at all those buds! Set the pads on top of some fast draining soil. 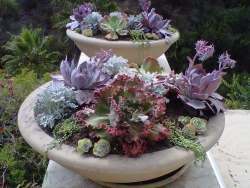 They dislike staying wet for long, so something that consists of larger sand, perlite and pumice, in equal amounts will be perfect. These plants don’t require much fertilizer, so start off the way you intend to continue. Small amounts of manure in the soil - well rotted and mixed in before planting, compost tea or fish fertilizer once or twice during active growth will help these plants flourish. 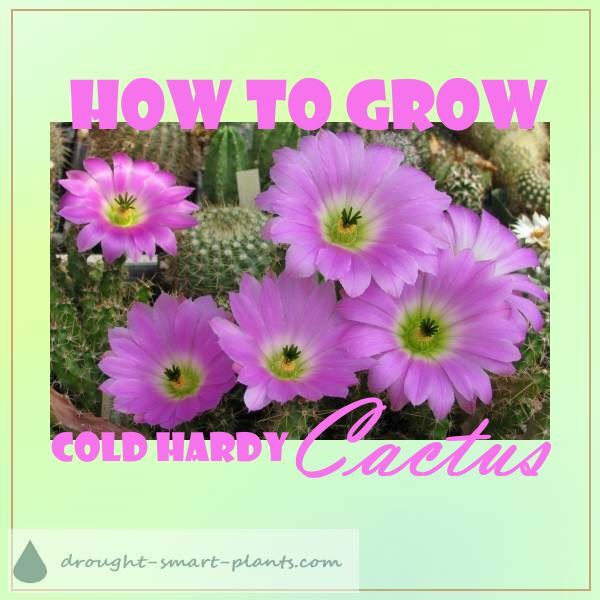 Be cruel to be kind – most often, failure to thrive in cacti is caused by trying to grow them in conditions that most other plants require to survive – manure or peat based potting soils and too much water. 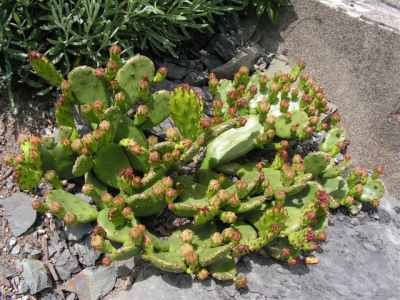 In time, maybe a couple of seasons, your cold hardy cacti will be established and start to bloom. Sometimes it's hard to tell if the bumps on the edges of the pads are new growth (cladodes) or flower buds.